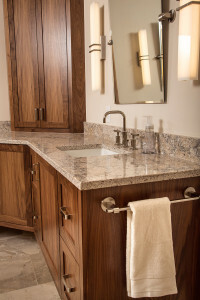 In this blog, we are going to talk about some basic steps you might see when working with a MN custom cabinet maker. These steps may vary by cabinet manufacturers. However, in the end the same principle should apply. At Artisan Cabinet Company, we try a follow a basic process. However, we are able and more than happy to tweak from client to client. Through our years of experience and perhaps some your experiences you will find most cabinet shops have a process that they use. Basic pricing, all projects should start with basic pricing. This can be a simple conversation about budget, or it can be a little more in detail. Based on what homework you have completed basic pricing will vary. At Artisan Cabinet Company, we like to take a few minutes over the phone getting an understanding of what you are wanting. During the initial phone call an in-home consultation may be set up. The goal at this in-home consultation is to get a better understanding of your needs and wants. At this meeting, a budget should be finalized for your project. The goal of this meeting is for you to get a better understanding of the cabinet maker, and the cabinet maker to get a better understanding of you. Ok, so now what. You are sitting in your kitchen, it is now time to decide. To get the beautiful custom cabinets you have been dreaming of and saving for, you need to choose a cabinet maker, then it is time for the design phase. Be prepared, there will be a down payment or design fee to get this phase started. If not, I would ask yourself why. Design takes time and time is not free. The first step of the design is conceptual drawings. The conceptual drawings will be used to finalize the cost. After the conceptual drawings are approved, it is time to finalize a contract and get the cabinetry scheduled for production. In the meantime, your project will be drawn in CAD to finalize the detail showing each cabinet, molding, and color to name a few. Before the cabinets are started in production you will most likely need to sign off on the detail drawings as well. Have no fear, this is only a tool to ensure we are on the same page. This way you will not have any unwanted surprises. 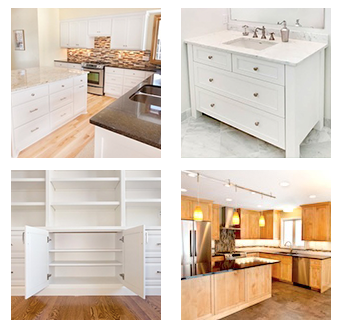 Hopefully the information here will help you out when working with a Minneapolis, Minnesota custom kitchen cabinet shop.